Muscle Maker Grill on Staten Island (4916 Arthur Kill Road - Staten Island, NY)Muscle Maker came to the Alfano family with big ideas. The Staten Island grill and restaurant was built from scratch. From framing, plumbing, electrical and design, it was a total redesign of the restaurant’s initial plan. Alfano Renovations took on the project from its inception to completion. 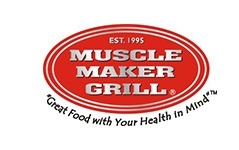 By personally meeting with both the owners and the architects, we built Muscle Maker Grill according to their personal taste and detailed ideas. We’re now excited to watch our work bring business through the restaurant’s doors! Advanced Wellness Center Chiropractic and Rehabilitation (Marlboro, NJ)Advanced Wellness asked the Alfano family to check out its aging chiropractic and rehab facility to determine which upgrades would keep the property safe and successful. We visited the property and began guiding the owners through every project, minor and major, for their full-service renovation and rebuild and rebuild. 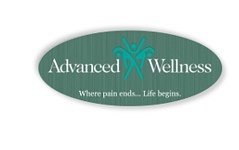 Advanced Wellness now has a property to be proud of year after year. The property is right here in New Jersey, so check out Alfano Renovations’ work if you’re in the area! Ink Well Restaurant (Long Branch, NJ)Alfano Renovations worked with both the architect and the owner to implement upgrades to the Ink Well Restaurant. Ink Well knew it was time to invest in basic modernization and aesthetic restoration. The Alfano family was honored to accept the job. When our work was done, the restaurant looked fresh and ready to serve hungry customers. 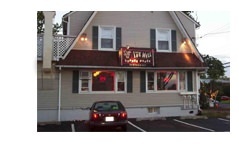 If you’re near Long Branch, grab a bite at Ink Well and see our exterior in person!